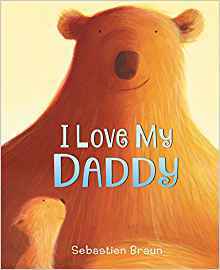 Sebastien Braun’s celebrated I Love My Daddy is now in board book format—perfect for little hands in strollers and highchairs! My husband is a wonderful father. He’d spend countless nights up with our daughters when they were babies, when they are sick, or even just to check on them each night to make sure they are sleeping soundly. He attends teacher conferences, he makes dinner, he even took our oldest daughter to her very first dance. While I could also count off all the things that I do for my kiddos, as we really do parent equally, I am in awe of his compassion and care for our girls when our society is not always flexible on how much a child needs the same amount of time and care from both of their parents. Bob should get paternity leave, family leave, and darn it, he needs to take sick days with our kids just as often as I do. Bob and I both work full-time, are exhausted for the same reasons, but we share the responsibility because we love our kids, and they LOVE us. I will proudly shout out loud that my daughters are daddy’s girls and it’s something that I celebrate! In the new board book format of Braun’s “I Love My Daddy” book, it shows a simple, sweet, and sentimental message about a child loving their dad. Sometimes daddies are loud and playful. 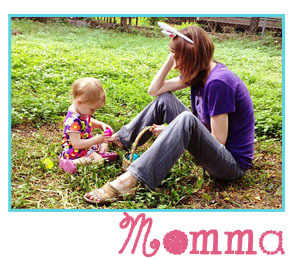 Other times they are quiet and compassionate. And they are always loving. Sebastien Braun’s appealing text and charming illustrations follow a day in the life of a bear and his bear cub in this celebration of the bond between father and child. Happy Father’s Day! About the Author: Sebastien Braun studied fine arts in Strasbourg, France. His first two books, I Love My Mummy and I Love My Daddy (Boxer Books, 2005), have been hugely successful all over the world. Since then, Sebastien has gone on to create many more books for children. He lives in Gloucestershire with his wife and two young sons.